Pinterest isn’t just another social media network and this fantastic FREE DOWNLOAD from HubSpot shows you why. 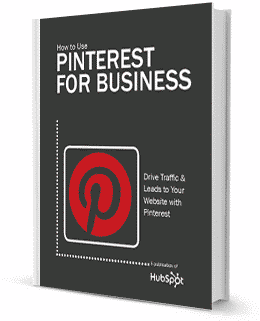 Inside this 43-page book you will find out how to increase traffic and gain sales leads using Pinterest. What appears to be the fastest-growing social media site ever has become a huge traffic referral (arguably, more powerful than Google+) for all businesses. This is the first complete guide to Pinterest for businesses. Download this new guide today, hot off the press!